This is going to be a very quick post today guys! These are, as the title so subtly says, my current favourite base products. 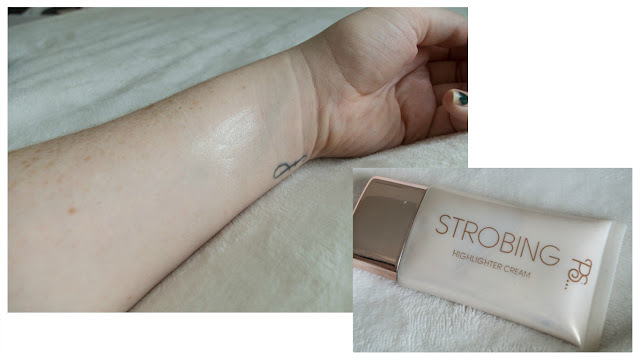 I wanted to do a primers post, but I've been using this strobe cream from Primark and loving it so much I had to include it! This moisturizing Nivea primer is my first layer that I lay down. 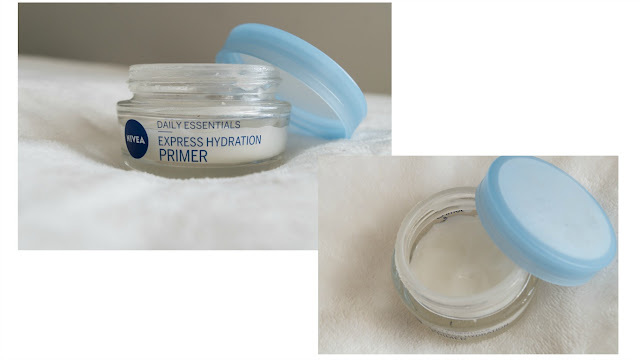 I treat it more as a moisturizer rather than primarily a primer but I really love it and can't go without it in my makeup routine now! I sometimes find moisturizer makes my skin feel a little oily before applying makeup so this is the perfect replacement. It moisturizes without leaving my skin feeling too oily or even tacky. 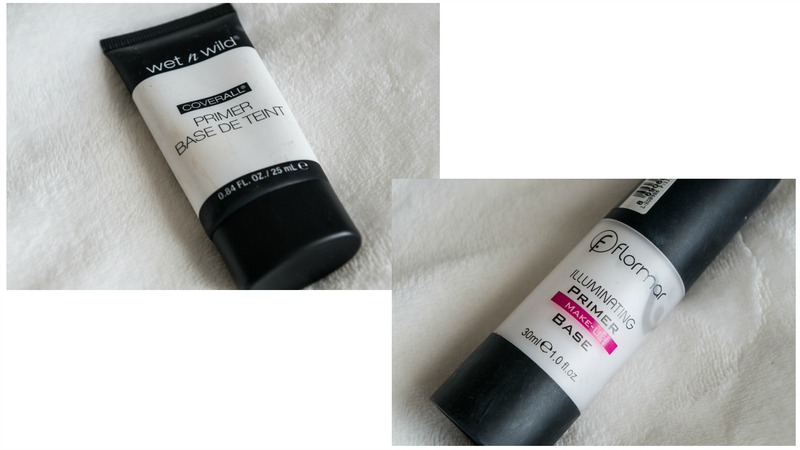 Next up is one I've been trying out for a few weeks now - the Wet'n'Wild Coverall Primer. It's not my favourite primer that I've ever used but it definitely does the job. I'll keep using it, I especially like it for around my nose and in between my brows (is that weird idk?). A lot of people were talking about this Flormar Illuminating Primer a while back and I gotta say, I do really like it. It leaves my skin pretty smooth and bump-free as best as possible (I have a couple of craters in my face lets leave it at that) and I like the velvety feel of it. Last up, this strrroooooooobe cream omg I love it. 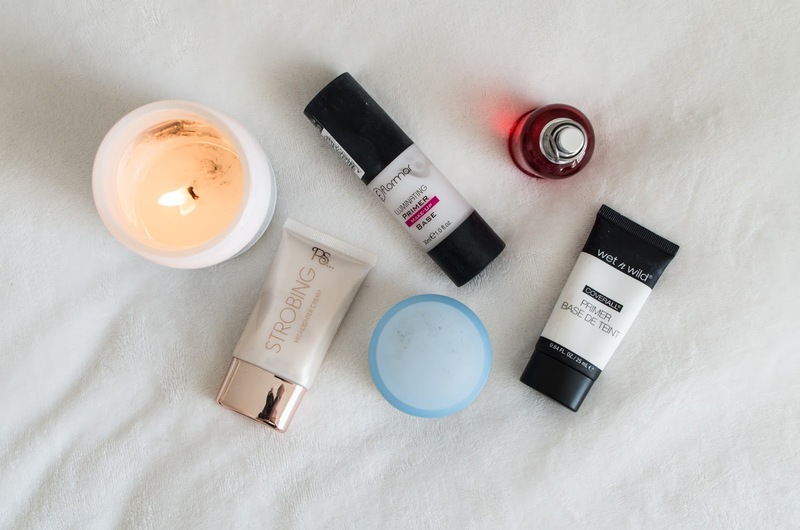 I often place it on my cheekbones - and I mean a LOT - and then lightly apply makeup over so it shines through, and I've mixed it with my primer on more than one occasion for a glowy AF base which I loooove. I also use it on top on my makeup when I want to go extra (AKA everyday) with some powder highlight over it. The GLOW!